Jenny Jen42: New in the Sweatshop!!! 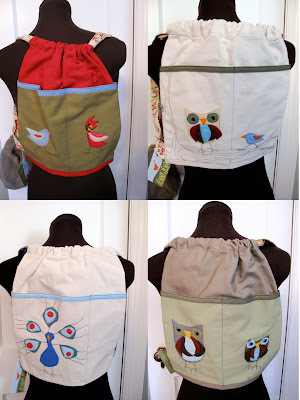 Backpacks!!!! 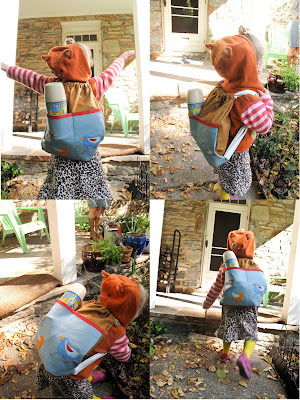 !I heard your requests and I think I found a great solution for the needed backpack. Perfect for your short trips!!! Even more perfect for your half pints to grow into! 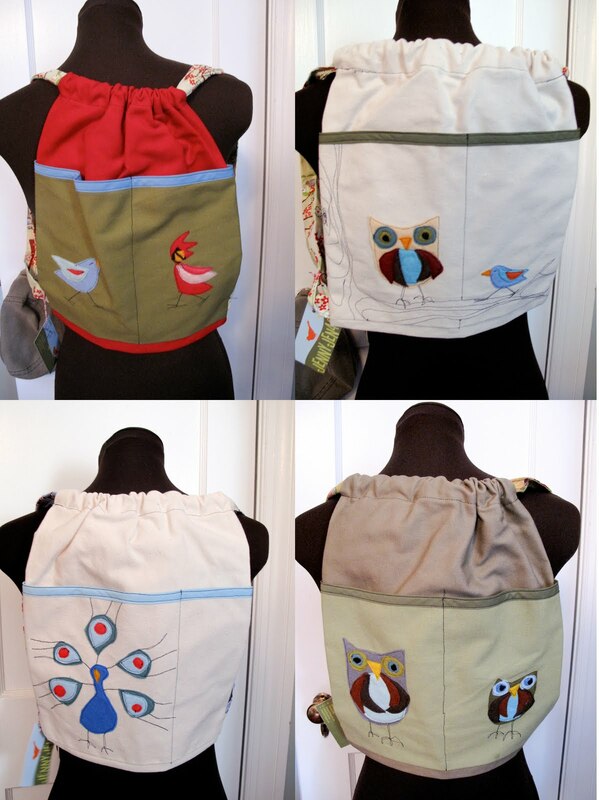 Made of heavy duty canvas, cotton straps and felt applique birdy bird scenes! They will be sold at my holiday shows that include Bazzart (at AVAM,November 26 and 27), Holiday Heap , (Dec. 4,at St. Johns Church) and at the Merry Mart(Dec. 5, At Creative Alliance).